2015 Customer Service Trend: Effortless Self-Service – A survey by Forrester identified web self-service as the most widely used communication channel for customer service. But with the growing number of mobile internet users around the world, effortless self-service across all devices and channels is a top trend to watch this year. Offering Mobile and Social Support for Increased Customer Engagement – As our lifestyles change as consumers, so do our preferred channels for communicating with companies. Here are three steps for organisations looking to offer mobile and social service that’s in line with the lifestyles of today’s busy, on-the-go customers. Motability Operations’ Approach to Knowledge Management Recognised with Innovation Award – Building customers’ trust and confidence in your customer service agents is key for the success of your contact centre. This case study shares how Motability Operations is achieving top-ranking customer and employee satisfaction scores. This Way for Self-Service – Many organisations are striving to increase customer self-service, and virtual agents are a great way to enable customers to find the answers and information they seek. This post outlines four tips to help increase self-service engagement with an online virtual agent. Our hats go off to everyone involved with providing great customer service and inspiring happy customers, including those involved with developing and maintaining self-service solutions! This week we celebrate the hard work you do all year long. Providing outstanding customer service is full of challenges (as confirmed by the results of our 2015 Global Customer Support Outlook Survey), but without it no organisation can survive in today’s competitive marketplace. 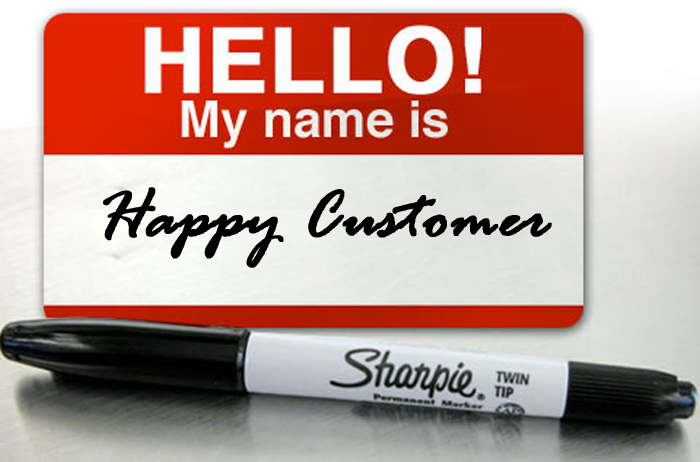 Happy Customer Service Week!